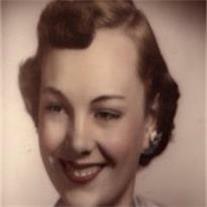 Lila Kaye Legler, 76, of Mesa, Arizona passed away on July 20, 2012. She was born in Prescott, AZ and lived the majority of her life in Arizona. She is survived by her loving husband, Lamar, a sister Sherril Burge, children Ivan, Ken, Nathan, Julie, & Paul. As well, she had 19 grandchildren and 20 great-grandchildren. Visitation is Wednesday, July 25 from 6-8 PM at Bunker’s Garden Chapel, 33 N. Centennial Way, Mesa. Services are Thursday, July 26, at 10 AM at the LDS Pueblo Stake Center, 2334 E. Pueblo Rd, Mesa, with visitation one hour prior to services.